Aim to misbehave in a constructible, miniaturized Serenity of your own. Cuusoo is, in spirit, the Kickstarter of Lego sets. It's a place where members of the world's brick-building community can stand together for whatever specific slice of geekery they fancy to insist that it be officially transformed into an amalgamation of colorful plastic blocks that can be easily assembled by anyone with ten fingers and a spare twenty minutes. That being said, it should come as no surprise to anyone that Firefly, known throughout the 'verse as being home to some of the most ardent fans this side of Bellerophon, recently passed the "Product Stage" of development on the site by earning over 10,000 pledges of support. 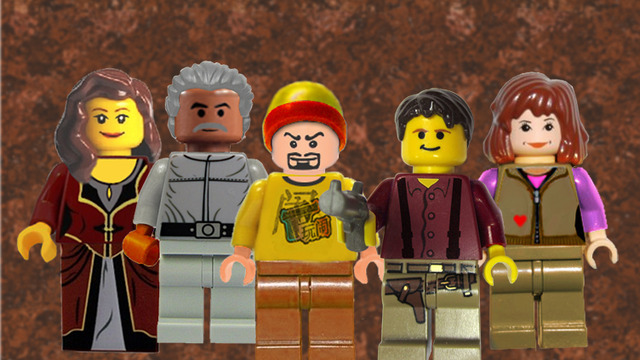 Yes, Browncoats are now one major step closer to seeing the Serenity crew as tiny, noseless yellow people of strikingly similar height and stature. 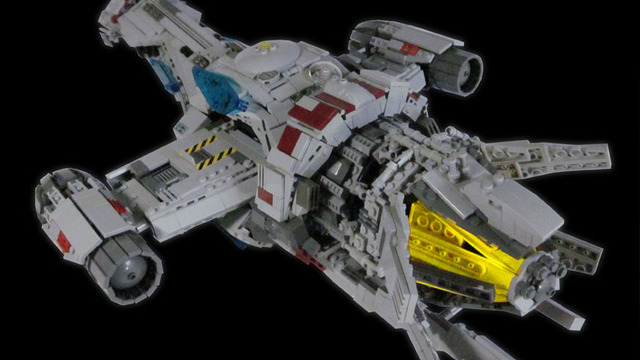 Like all Cuusoo endeavors, the Firefly Serenity playset began as a concept designed by a user. In this case, tbone_tbl, who started the project by assembling a custom-made Serenity model with a movable loading ramp, light-up drive, rotating engines, and "playable dining area and cargo hold." 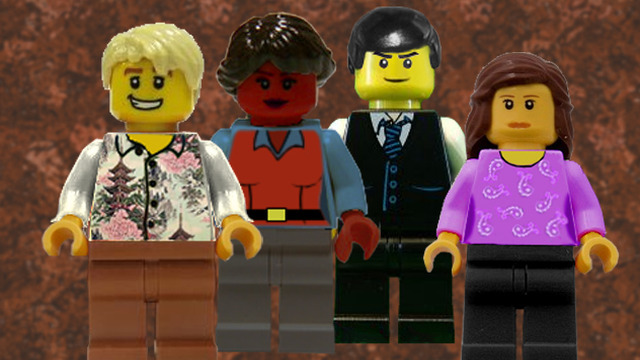 Eventually, as the page grew in popularity, he went on to add a series of conceptual minifigs (Lego people) fashioned after the crew, allowing supporters to see Book, Mal, Jayne and the rest in all of their 1.5 inch, hypothetical glory. 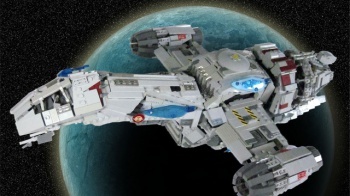 Now that the project has met Lego's requirement of 10,000 votes, the play set has moved into the review phase, in which the Lego team, well, reviews the idea and determines its logistical, legal, and market feasibility. If Lego says "no," then this idea will have been designed and produced on a small scale, slowly attracted a large group of fans and supporters, and then gotten cancelled just as things were getting exciting. Hmm, why does that sound familiar? Let's all just hope that doesn't happen. LEGO CUUSOO gives the opportunity for adult LEGO fans to submit product ideas. You submit some incredible things, and we're huge fans of all of your work. 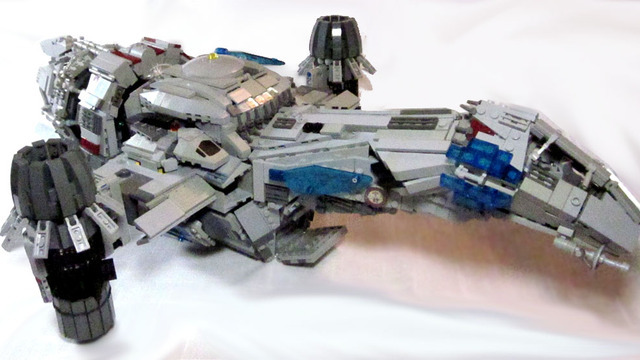 This is a beautiful model and a skilled rendition of the beloved Serenity built with LEGO bricks. Opening ourselves to new product suggestions invites popular ideas that don't always fit our brand. We are grateful for the spirit behind projects like the Firefly Serenity and for the opportunity to be challenged. It keeps us sharp and looking toward the future of the LEGO brick.